54 Inch 320 Watt LED Flood Spot Light Bar - NEW! 54 inch light bar with wiring harness (switch, Fuse, relay) and remote control, also comes with mounting hardware and wind isolators. Great for Silverado, GMC, Tundra, Tacoma, Jeep TJ / YJ, Offroad, etc. Has a couple of scratches on cooling fins. 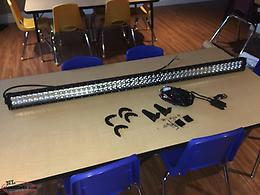 For sale 12 inch led light bar flood spot combo 72watt 7200 lumens comes with all mounting hardware and wiring harness. 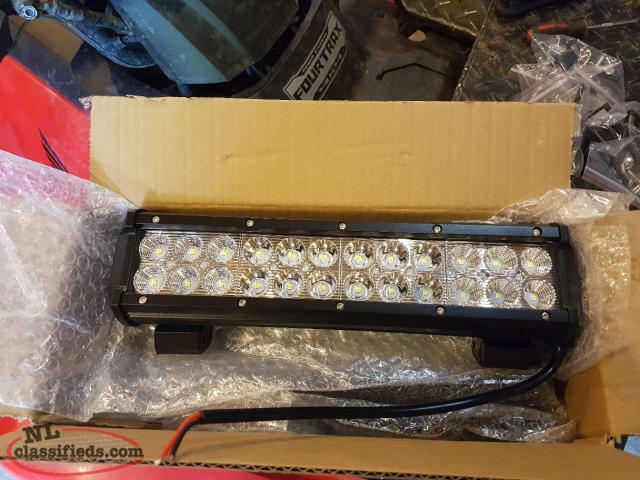 Hi, I'm interested in the '42 led light bar -new- with harness' posted on NL Classifieds! Please contact me if still available.